Aram’s post on Bishop Amat football cancelling tailgating won’t go over well .. IN THE HUDDLE WITH ARAM: As many of you know, Bishop Amat has arguably the best tailgating scene in SoCal high school football. … make that HAD arguably the best tailgating scene in SoCal high school football. The school has decided to disallow tailgating on school property before games for the upcoming season after determining that things were getting a bit out of control. No word on whether the tailgating ban will last beyond this season. @SGVNSports #SAD not sure why we need a president, but if we're going to have one… Let's bring in somebody who's can actually lead!! South Hills’ inaugural Softball Skills camp is Sunday, July 19 from 9 a.m. until Noon at South Hills High School. Those expected to teach include several college players along with members from the South Hills coaching staff and players. The cost is $30 for girls in grades K-8th grade. For more information contact South Hills coach Brandon Gonzales at 626-705-9070. Just a couple years ago the Bishop Amat girls basketball team was one of the best shows on campus and one of the best teams in the CIF Southern Section year after year under legendary coach Richard Wiard. But the program took a gigantic step back after Wiard resigned last year. 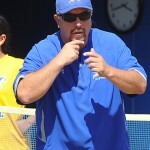 Wiard had a falling out with the school’s administration, and is now an assistant at Duarte High with his son Scott Wiard, who was named the head coach. 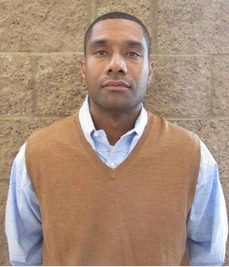 The Amat girls basketball team hasn’t been the same since Wiard left and on Tuesday, it named Antwine Adkins to be its next head coach. Who is Adkins? He was an assistant last year to Treanna Allen, who lasted only one season after guiding the Lancers to one of their worst seasons in recent memory, finishing 7-19 and 0-8 in league. 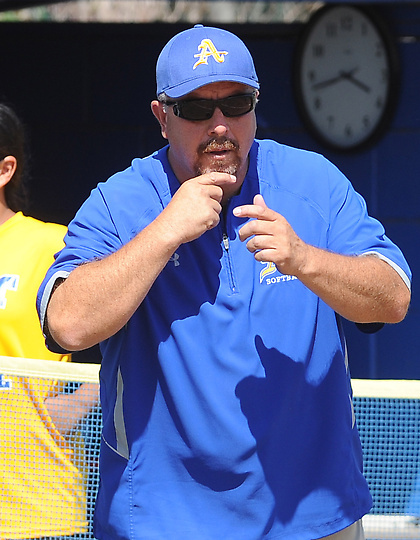 When the school hired Allen to replace Wiard, who in 19 years won five CIF championships and two state championships, the reaction was mixed, because Amat supporters expected a splashier hire for a program with so much history. 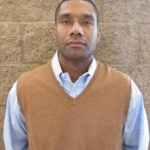 But with a second chance to make a splashy hire after Allen’s resignation, the school hired Allen’s assistant, Adkins, whose coaching resume includes a recent assistant job at Whittier College and brief head coaching stops at Blair (2010-11, 10-12 overall) and Los Osos (2011-12, 15-11 overall). Adkins might work out and could be surprisingly good, but will his immediate arrival and promotion satisfy Amat supporters? We’ll just have to wait and watch. SIDNEY STAYING HOME: Bishop Amat High School football standout Trevon Sidney won’t stray too far from home to play his college ball.Sidney picked USC on Friday evening over a who’s who list of college football powerhouses. His verbal commitment was made at “The Opening” football showcase put on by Nike in Oregon.“The coaching staff is just a great coaching staff,” Sidney said when asked why he chose USC. Glendora basketball alumni game Saturday at 5 p.m., benefits 10-year-old Cale Smith: For the last three years, former members of the Glendora High School boys basketball team have gathered to celebrate the long and successful tradition of their program at an annual alumni basketball game.This year, however, the importance of this game goes far beyond the boundaries of the gym, as the program has focused its efforts on supporting the family of Corey Smith, which has recently been forced to cope with a cancer diagnosis. In late February, 10-year-old Cale Smith, the son of Corey Smith, a 1990 graduate of Glendora High School, and Karine Smith, was diagnosed with what doctors believed to be benign skull tumor known as Schwanomma. But, as the family, which includes 14-year-old Kylie, an incoming freshman at Glendora High School, and 8-year-old Caden, prepared to leave on a spring break trip, Cale began to experience pain in his skull and face. This time, doctors determined that the malignant tumor was in fact Rhabdomyosarcoma, a cancer that usually develops in skeletal muscles. Elijah Blades is staying at put Muir, the junior defensive back confirmed after it was reported last week that he had transferred to Cathedral. Blades is expected to be the next big-time talent out of Muir. Things were looking bleak for Muir after Blades and WR/DB Jamire Calvin left for Cathedral. Calvin is expected to stay at Cathedral.